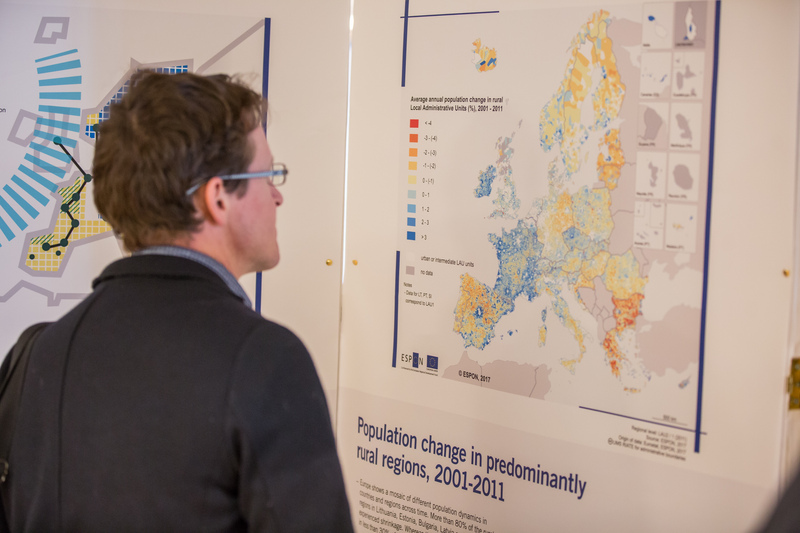 The first research themes have focused on the functionality of major urban agglomeratons, the diversity of development options for rural regions, demography and migratory flows, the risks for regional economies of energy price fluctuations, territorial impacts of climate change and progress in techniques in support of territorial impact assessment of EU sector policies. The ambition has been to contribute with territorial dimensions of the Europe 2020 Strategy and provide evidence that can support policy development at all levels, from European to regional/local. The report does not only make efforts in presenting comparable facts at regional and local level. It also contains new evidence on the European territory seen in a worldwide perspective, which nowadays is increasingly necessary for the competitiveness of the EU. Europe’s position in the world is changing: there is not only the economic challenge from Asia and the Americas; other challenges with a global dimension include an aging labour force and demographic change, energy supply and demand, and the possible impacts of climate change. Europe’s competitiveness depends greatly on its global cities and metropolitan regions, where enterprises can benefit from agglomeration economies and networks linking global market places. Connectivity is important. Livable and smart places have good connections and an attractive environment. Metropolitan regions need good accessibility to each other and to global markets. The number and quality of connections to hubs and urban centres are important preconditions for efficient functional integration of all parts of all parts of the EU. Europe has many smart rural regions that are well connected to the global economy, accessible to urban centres and have turned local assets into development opportunities. Accessibility of regions and cities is increasing through infrastructure investments which benefit the economic competitiveness of these places. Europe’s high-speed rail network could play a greater role in the development of a polycentric Europe: still too often national networks do not look sufficiently ambitious beyond borders. Vulnerability to climate change impacts is a concern especially in regions where adaptation and mitigation strategies are not sufficiently in place or effectively enforced. Good governance and territorial co-operation are vital at every geographical scale, including partnerships at the level of city-regions and larger macro-regions, as well as across policy sectors. The report is the first in a series of three ESPON Synthesis Reports which all aim to communicate major ESPON results on numerous ongoing research themes relevant for integrated, place-based policy considerations. The First ESPON 2013 Synthesis Report, the programme of the launch event on 27 October 2010, the presentation made on the day and a collection of Maps are available here.